Following on from yesterdays article on the Hammond Collection of photographs at the Auckland War Memorial Museum, there appears to be an easier way to locate the entire collection! 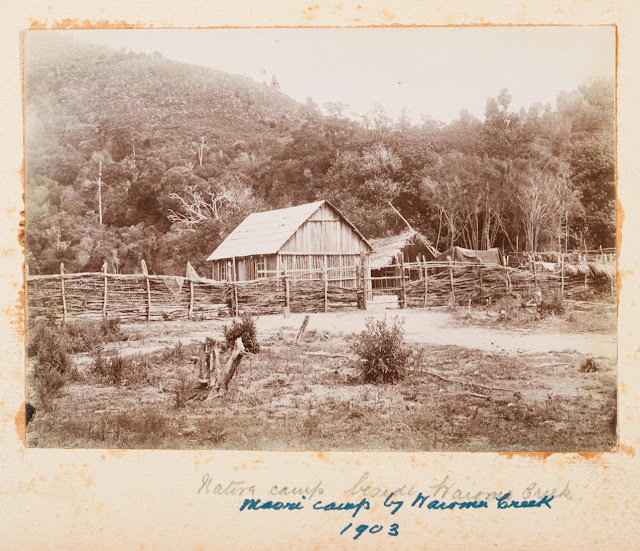 The photographs are contained in Albums and the contents can be seen by searching the individual album. The photographs are not only of Thames, but include family outings and trips to places such as Rotorua. They include iwi from several areas other than just Thames/Hauraki. 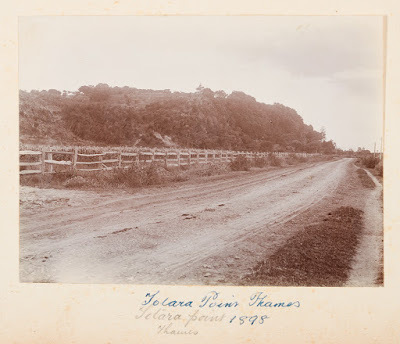 [Totara Point, Thames],Hammond, Thomas William George Howard, 1868-1967, photographer,ca. ALBUM THREE PH-ALB-357-3: CLICK HERE - scroll to Catalogue/Contains and then view all. HAMMOND ALBUM No 1, ALBUM No 2, ALBUM No 4, ALBUM 9, ALBUM No 10. Thames (NZ): Popeye's Corner, Whakatete Bay.